On May 27, 2018, Consul General Hong Lei was invited to attend the Indy 500 auto race reception hosted by the Governor of Indiana Eric Holcomb. In his meeting with Consul General Hong Lei at the event, Governor Holcomb said that Indiana has always been committed to developing cooperative relations and deepening economic, trade, educational, and cultural exchanges with China. 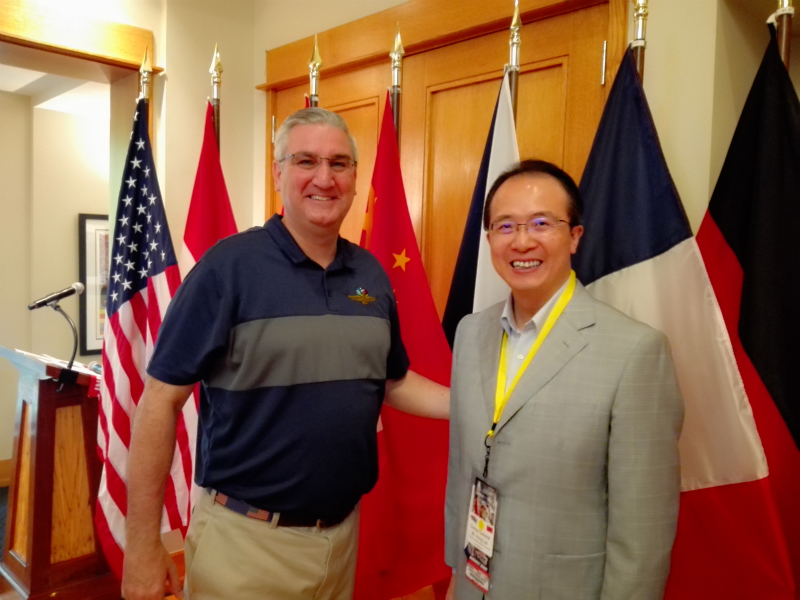 Governor Holcomb added that he is looking forward to an official visit to China later this year and hope that this visit would push Indiana-China relations to a higher level. Consul General Hong Lei stated that Governor Holcomb has been actively devoting himself to Indiana’s ties with China since assuming office. And the sound momentum of friendly cooperation with China has been well maintained under his leadership. The Governor’s upcoming visit of China this year will be a major event in Indiana’s relations with China. It’s hoped that the two sides focus on cooperation in various fields, so as to promote a new and greater development of the relations. 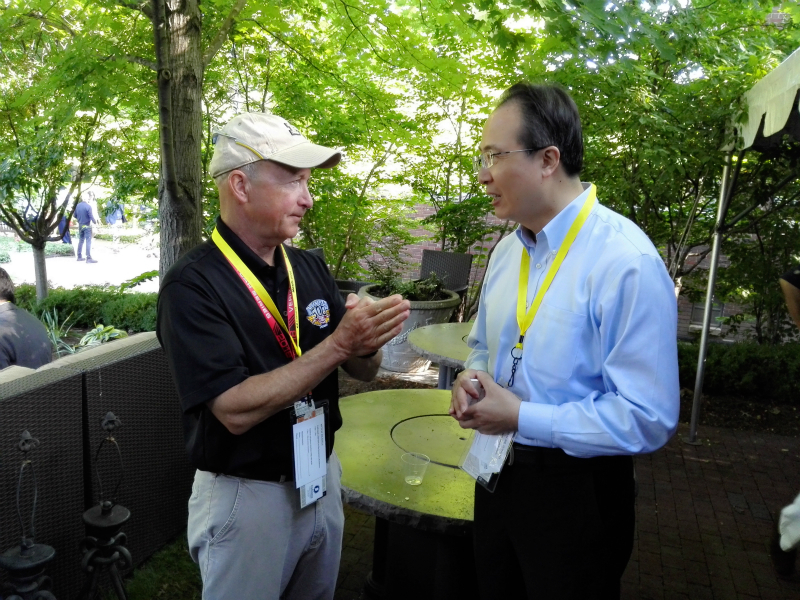 During the reception, Consul General Hong Lei also exchanged views with Mitchell Daniels, President of Purdue University, and former Governor of Indiana. Consul General Hong Lei said that, currently, there are nearly 5,000 Chinese students studying at the Purdue University. We are grateful for the good conditions provided by the university to Chinese students. China hopes to strengthen exchanges and cooperation with Purdue University, which enjoys a strong academic influence. President Daniels stated that Purdue University is very proud of its relations with China, which can be traced back to the beginning of last century. Purdue University hopes to maintain and develop its traditional ties with China, so as to deepen exchanges, and cooperation. The university welcomes more Chinese students to come to Purdue on its campus. Consul General Hong Lei and other guests watched the annual Indy 500 auto race after the reception. 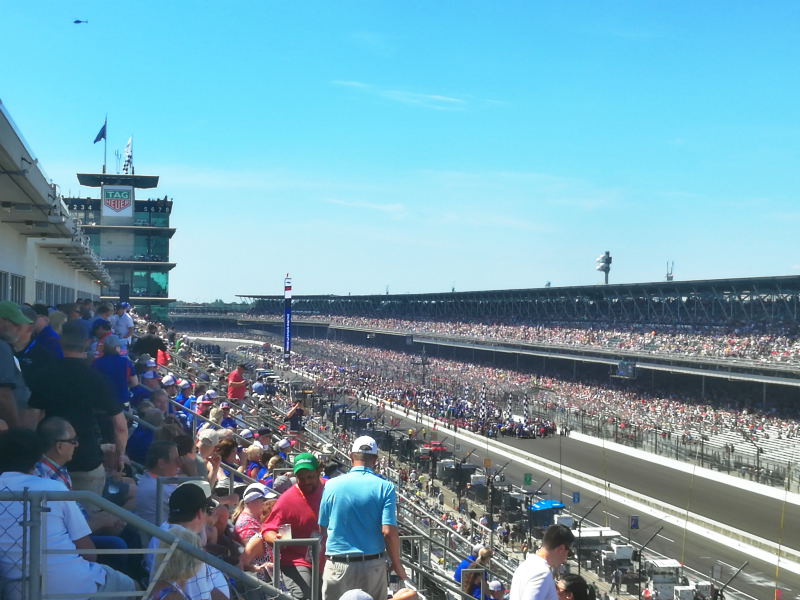 The Indy 500 auto race is one of the top three major motorsports events in the world with about 300,000 audiences each year and has become an important signature event of Indiana.